Here is another Friday Mindfeed piece..... It is a TED Talk that I just saw and loved! The game inventor, Jane McGonigal became bedridden and suicidal after suffering from a severe concussion. She turned to her own craft to turn her situation around and make it work for her. It's a great story to me especially because our summer has been full of games. I'm sure you think we play lots of games here but like you, we have to do other stuff too. However, Number 1 Son just finished the 2nd grade. It's summer now and what defines summer for us? What a relief! I think I dislike homework more as a parent than I did when I was a child. Since we have more time, I am noticing everyone's mood change, including mine. We have more time to go outside and play but then recently, our area suffered a terrible heat wave and thus we had to stay indoors a lot! I love these logic games for the young ones. I think it supports so many things including executive functioning. You'll see a review of this Smart Toys and Games logic game soon. What did we do to pass the time? This summer, we seem to be playing a lot of games- all different kinds of games. If we are playing single player games then we are doing it while sitting next to each other. 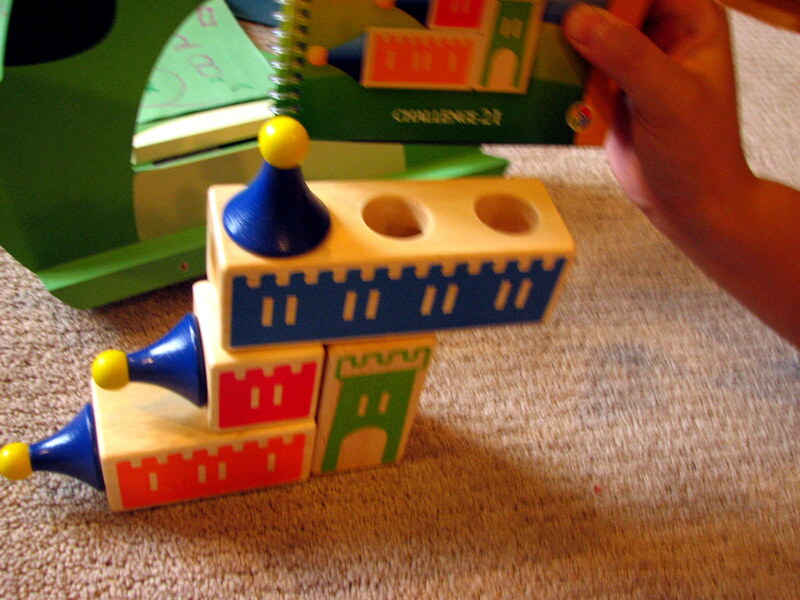 This has become so much more possible now because of Smart Toys and Games has many logic games for preschoolers. We'll be reviewing more for you soon. 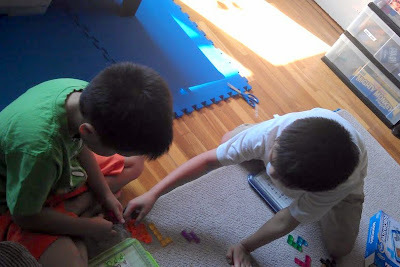 When they are playing their single player logic games, I am usually sitting beside them. I try not to work on my computer because for some reason, they act as if I am not there with them at all and lose focus. However, if I am doing something like doodling or flipping through a catalog while sitting close to them, then they do play their single player logic games pretty much independently. Of course, we also play regular games together. They like that a lot. I find that I am able to de-stress at that point (as long as they are not fighting). For just 20-30 minutes, I forget about all the things that I have to do or didn't do. I'm not really thinking about the kids either and thinking that "I am spending quality time." I have figured out that there are pretty fun games out there that don't make grown-ups go nuts. Playing games is for me too now. I'm having fun too. My brain is getting the benefits just the same. I love my kids and all but I am kind of tired of being so forgetful and absent-minded about everything. I need to train my brain. No one is going to do it for me. Big Pathwords and Little Pathwords (Jr.) being played side by side. It's a different way to "play together." Congrats to ThinkFun on your new Special Needs Section. I find that the more we play games together, the less they fight during and after the game. For some reason, playing together in this structured way, just for part of the day, seems to help. I wish I could tell you why. Maybe I'm calmer or they are calmer or happier. I suppose happy people tend to not get bugged by stupid little things. Maybe that's why, I really don't know. But it is always good to play games. I am sure that none of us are guilty of playing too much with our kids. We all wish we had more time. This TED Talk above is awesome. The game inventor, Jane McGonigal states that games can add more years to your life and explains how. If you are ever looking for another reason to forget about your to-do list and just sit down and play with your kids then please watch that video. I love games but love them even more now. Playing games is not just good for the kids or for the health of the family. Playing games is good for the grown-ups too. The trick is to find a game so that you can all be together. I promise to try my best to help in that department. I wonder what we'll be playing this weekend? So many great games out there. I would love to hear your suggestions on what is great so please feel free to send me the names of your favorite games by leaving a comment or send me a tip at toysaretools (at) gmail (dot) com. Find out more about the Ted Talk here. In case you're wondering..... Toys are Tools has not been compensated in any fashion by the manufacturers of the toys mentioned in this story. Some of the toys mentioned or pictured were either purchases by me or sent to me for the purposes of facilitating a review. Reviews are never promised at Toys are Tools. We need to play more games together. Carving out that time seems so hard, but it's so worth it in the end. Thanks for reminding me! If you failed math then I failed reading comprehension. My son actually asked me to play a game with my husband- just the two of us, without the kids! What was that all about? But truly, I think a lot of the games reviewed here are so fun for adults too. I think that factor can't be ignored.